The presentation of audio-visual content at events such as conferences and concerts is a high intensity task — where a small production team must interact with an amalgamation of separate hardware tools to transform and direct a variety of media sources to outputs such as large screens, preview monitors, and web-casts. 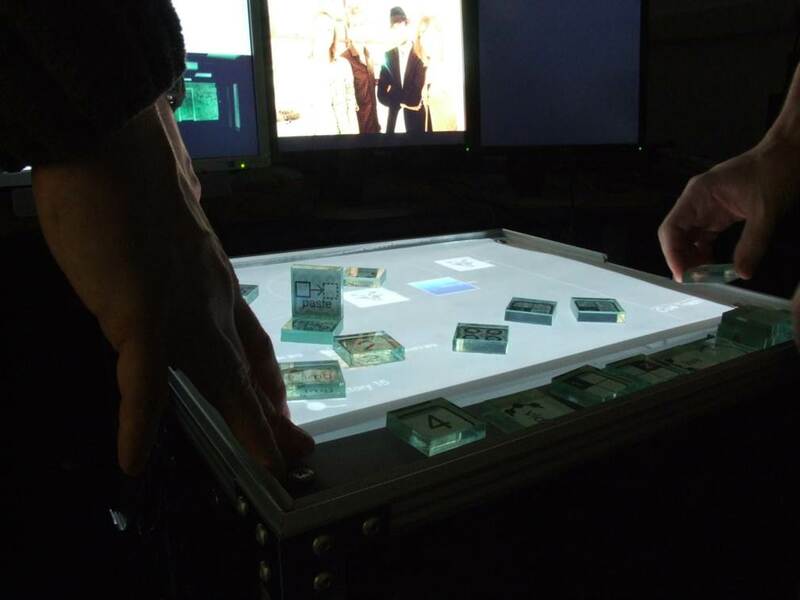 Media Crate is a tangible tabletop interface crafted in response to the key actions and needs of live media producers. Using tangibles, previously complex and ambiguous actions can now become collaborative and easy to learn, whilst providing expressive features not present in traditional interfaces. The system was deployed at a live event operating alongside existing video production tools to deliver the event.